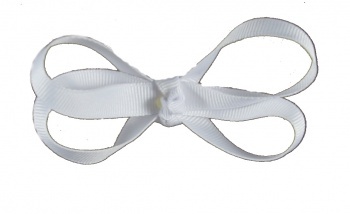 This is a white grosgrain ribbon hair bow that has 4 large loops and no tails. The center has a French knot and is attached to a lined alligator clip. This hair bow is a great little touch for every little girl.